In French, Mauritius is known as République (Isles) de Maurice. 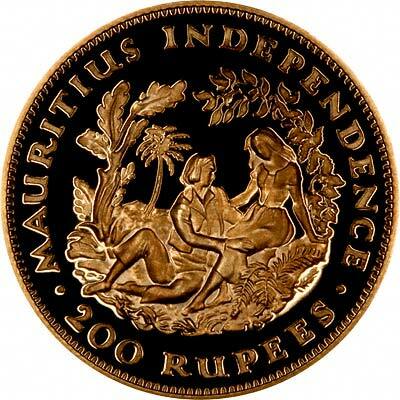 Although there were British coins struck for Mauritius as early as 1822, these were undated, and had their legends (inscriptions) in French. 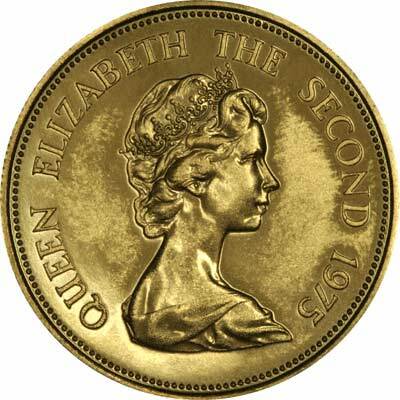 The first modern gold coinage was issued for independence in 1971. Our photographs show a 1,000 rupees dated 1975. This was issued with a theme of conservation. Portrait of Queen Elizabeth II facing right. 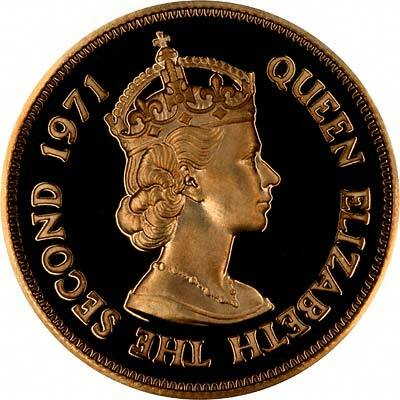 All prices subject to fluctuations in gold bullion price. 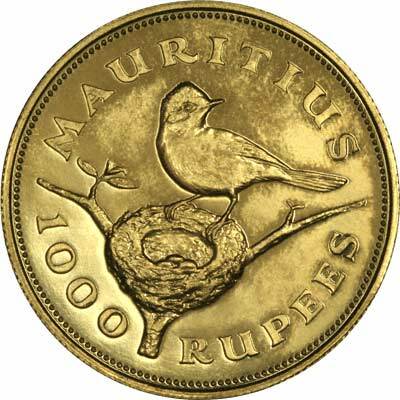 For silver and base metal coins of Mauritius, please look at our original Chard Coins website. 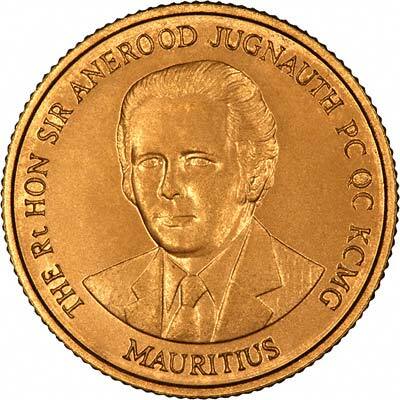 Photographs and further details of the 1971 proof set are on the 1971 Mauritius Proof Set page. 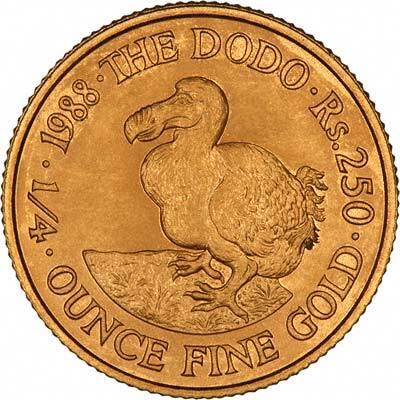 We make an active market in almost all world coins, gold or otherwise, including Mauritius gold coins. If you have any of these coins to sell, please contact us, or post them to us for appraisal and offer.